My mother and I have a ritual each time I land in Singapore. The moment I’ve cleared customs, we hug, rev up the car and head over to a little hawker center in nearby Bedok. At 1 in the morning — my usual landing time, coming from New York — the streets are quiet and dark. 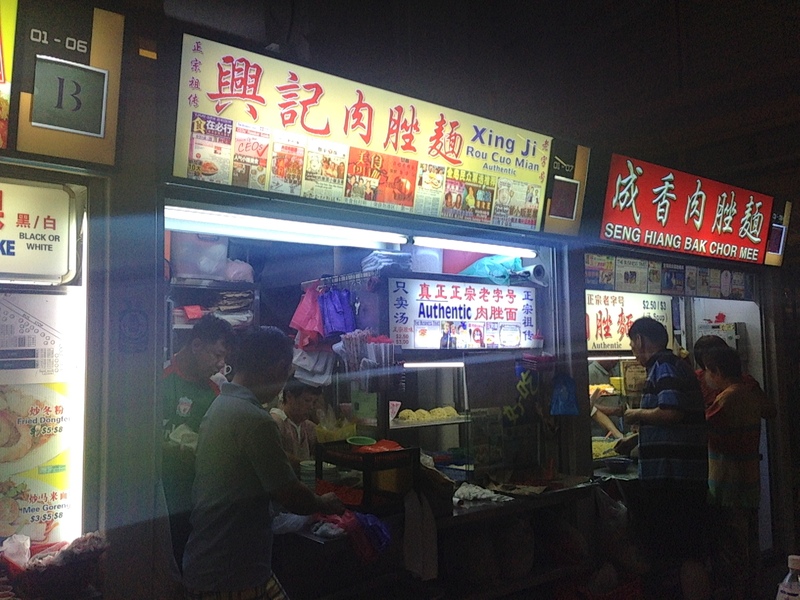 As we near Fengshan Food Centre, the beacons of fluorescent light from the rows of still bustling hawker stalls beckon. Now, when you get to Fengshan, it’s important to get the right bak chor mee place — there are two, side by side, which serve the exact same thing. Seng Hiang’s isn’t bad but of the two, I prefer Xing Ji’s — perhaps out of habit. I’ve been coming to this stall for these same noodles since 1989. Yes, that’s 25 years. The family that operates the stall, in fact, has been in the business since 1968. The son of the founding patriarch, Sim Geok Him, took over the shop in 1983 and runs it now. 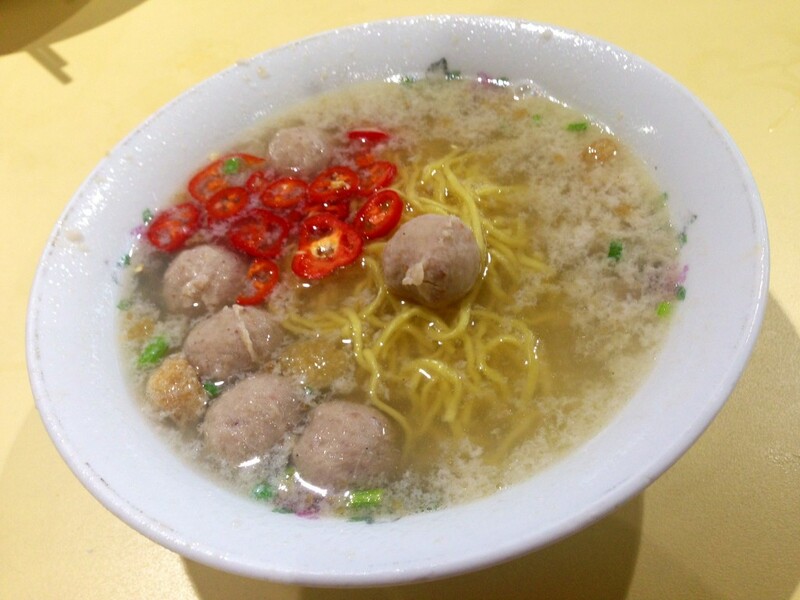 I can’t begin to describe all the ways in which this dish is mind-blowing — for SGD $3 (USD $2.40), you get a generous helping of fresh pork balls and perfectly al dente thin Chinese egg noodles in a peppery pork broth that’s just packed with tender, well-seasoned clusters of minced pork. Minced scallions, sliced red chilis and crispy fried shallot bits pile on extra flavor and the best part — tiny cubes of crunchy deep-fried lard that add a burst of umami in your mouth each time you bite into one. I have often said that it isn’t until I have my first bite of this bak chor mee that I feel it — I am home. Sitting on a stool bathed in a harsh fluorescent glare, listening to the brusque hawkers and flapping flip-flops all around me, the scent of fried oyster omelettes and chicken wings in the air, I’m always brought right back to all the small, simple things I love about my country. Swirling that peppery pork broth in my mouth? Sheer icing on the cake.